Wir hatten heute Morgen unsere normale Verabredung, um Deutsch zu uben. Wir sprachen über die Zukunft, über Renten, und wie man die Rente erhalten. Die Bergbaukonjunktur in Australien ist aus, und das Australischer Dollar ist schwacher als bevor. Aber die Rente in Australien ist besser als die Rente von Großbritannien. Hoffentlich ich kann voraus mein Leben plannen, und werde nicht mit Änderungen plötzlich überrascht. Ich kann mit 65 anfragen. Zufällig habe ich das Vorgangpassiv benutzt. Das Zustandpassiv wurde sein: ich bin überrascht. Von übermorgen erwarte ich einen Anruf von Telekom Malaysia, um eine Verabredung zu machen. Ich habe eine schnelle Internetbeziehung bestellt, und TM hat versprochen, mir anzurufen. Mit TM muss man geduldig sein, weil sie nicht pünktlich sind. Ich hoffe, dass sie rechtzeitig kommen, aber ich muss einige Geduld haben. Ich maß meine Internetgeschwindigkeit und es ist ungefähr 3.1mbps. Ich will 8mbps. Und kann wir ohne Strom leben? Wir wohnen in einem Haus, und es hat höhere Feuchtigkeit als eine Wohnung, ich glaube, weil es ist direkt auf der Erde. Dann mussen wir die Klimaanlage benutzen. Wenn wir in einem Wohnung gewoht, war es wenig schwül. 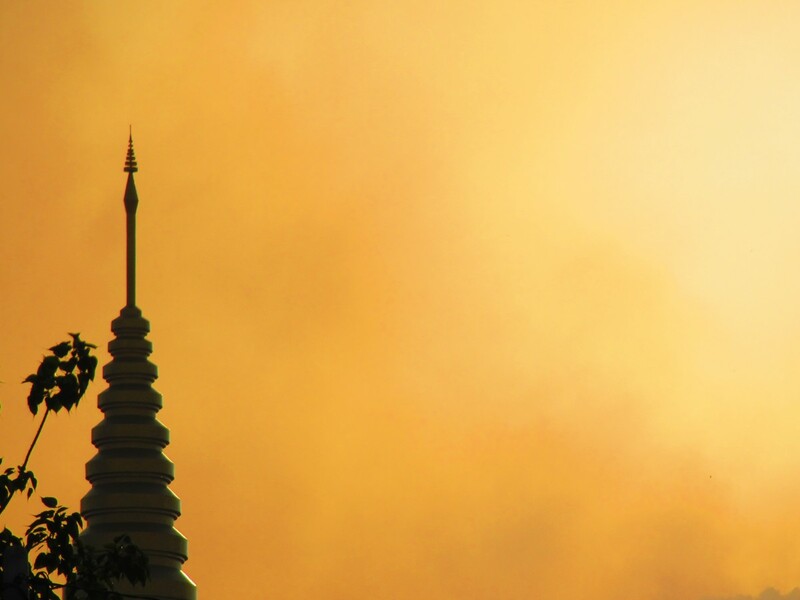 OMG – is a plane crashing into the Malacca Straits? 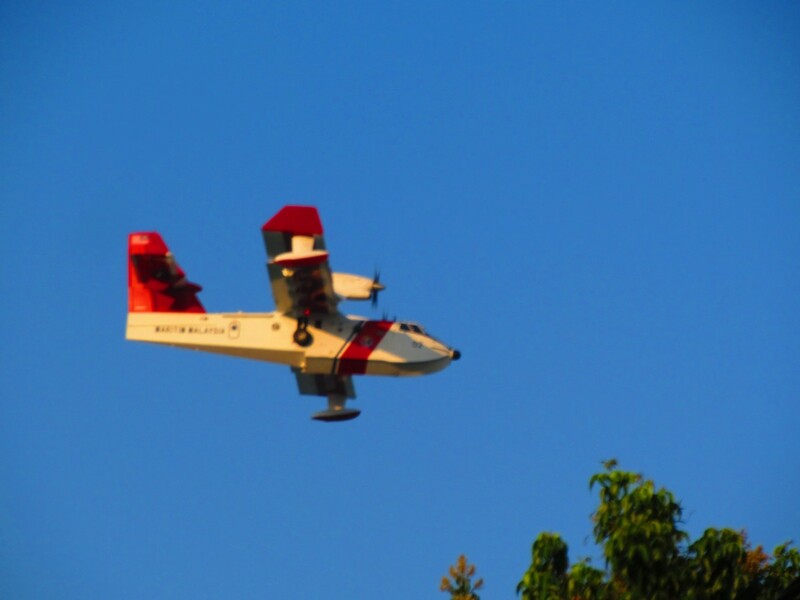 I was sitting peacefully reading and gazing at the flowers at the front of the house when I see a plane at tree- top-level over the water. Is it about to crash or crash-land? 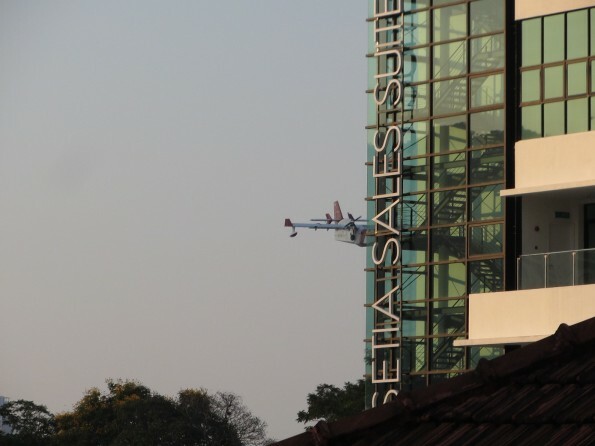 And red and white livery – what local airline is that? 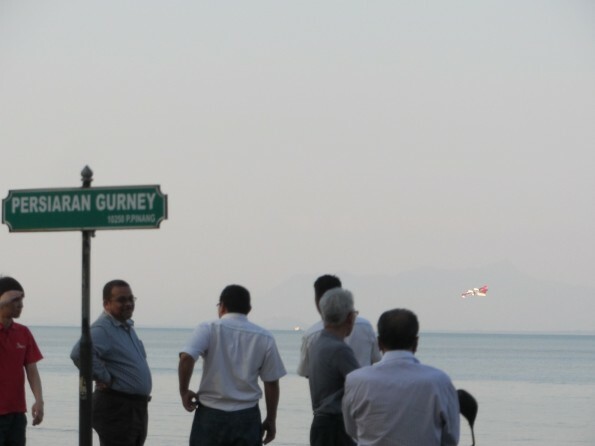 I race over to Gurney drive, and there is nothing to see. 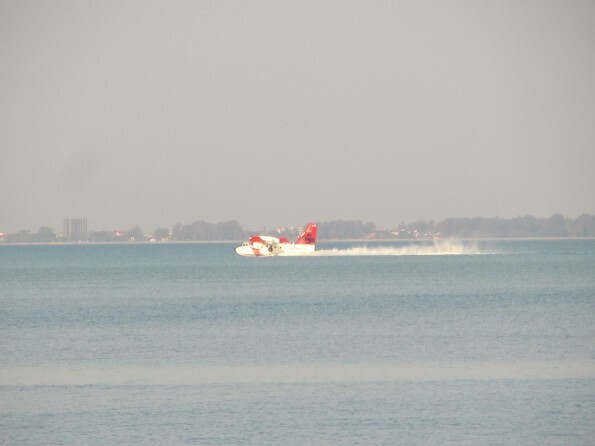 No plane in the water. 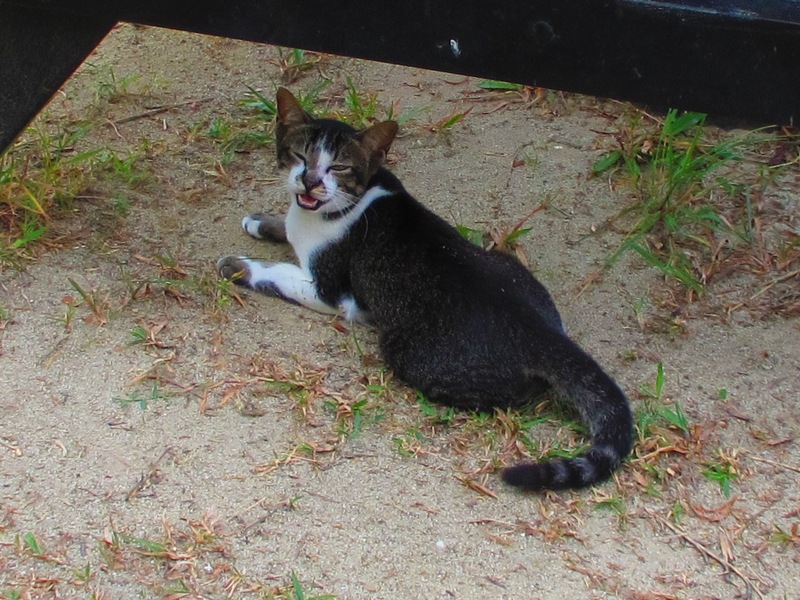 Nearby someone was sitting, so I asked him if he’d seen a plane, but he didn’t speak English. 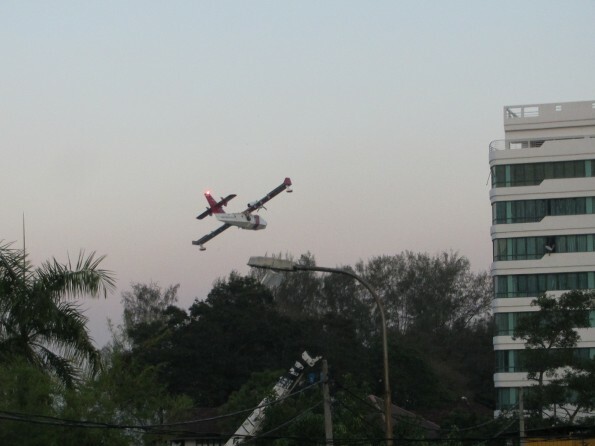 The plane reappears higher up and heads clockwise around to Penang Hill to drop its load of water. 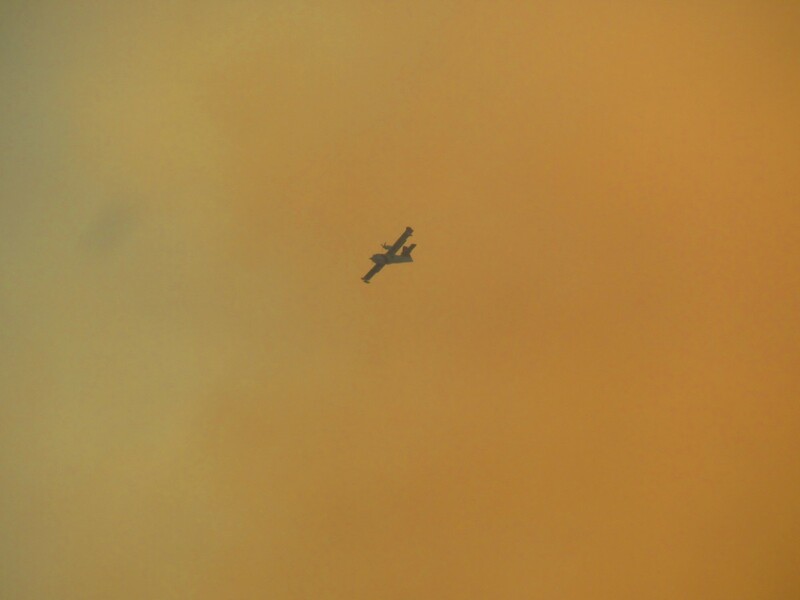 The plane continues in a circle around towards George Town, then does a U-Turn and lands to pick up water. 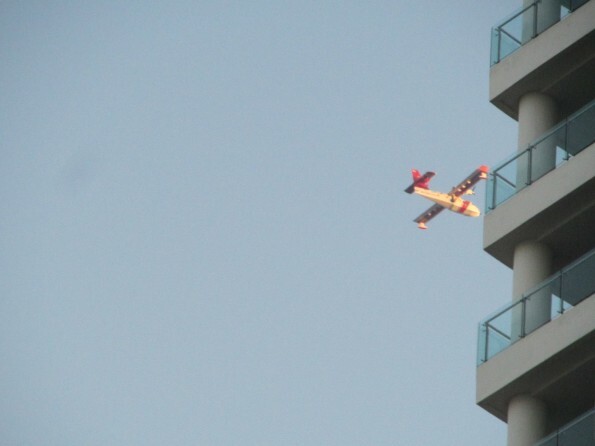 Then it takes off and does a U-turn, and heads clockwise back to the fire. So, basically it is flying a figure of eight. It takes around four minutes to do one lap, and I’m told it did it about 10 times. Have you noticed that to get a service you often have to sign a contract, and you are simply guided to “sign here” and here by the salesperson, instead of actually reading the six pages of Font 2 fine print. Often one of the clauses you are signing is that you have read and understood the full text of the contract, when indeed you have done neither. But if you want the service, as the company is a virtual monopoly or oligopoly, you won’t get the service from any company unless you agree to such conditions. All consumers should ask the sales person to read out the text in full – it hurts your eyes to read it yourself as the text is so tiny, and there are so many pages so as to dissuade you from reading it. That would achieve a couple of things. You would at least know what the contract says; so would the salesperson; the company would know that you know – and know how unfair the contract is. In the contract a company will often absolve themselves of all possible liability, and ensure you take all liability on. They state they can change terms and conditions and vary fees without your agreement. Which means the contract it open-ended. They could use this to change a one year contract to a 10,000 year contract. Thus this clause is ludicrous. Sometimes they state that if you don’t agree to new terms you have to cancel contract and pay cancellation fees. You’ll note there are few to no options for the customer, and many options for the service provider, in the contract. From looking at some of these contracts I believe they are grossly unfair, and presented to you the customer in a deceptive way, and also not properly disclosing the conditions. They do not sound like valid contracts at all. Many Malaysians just ignore all of it and stop paying when they no longer want a service, I hear. Do these companies follow this up or not? I don’t know. So, if at all possible, read or get the salesperson to read, the contract in full. 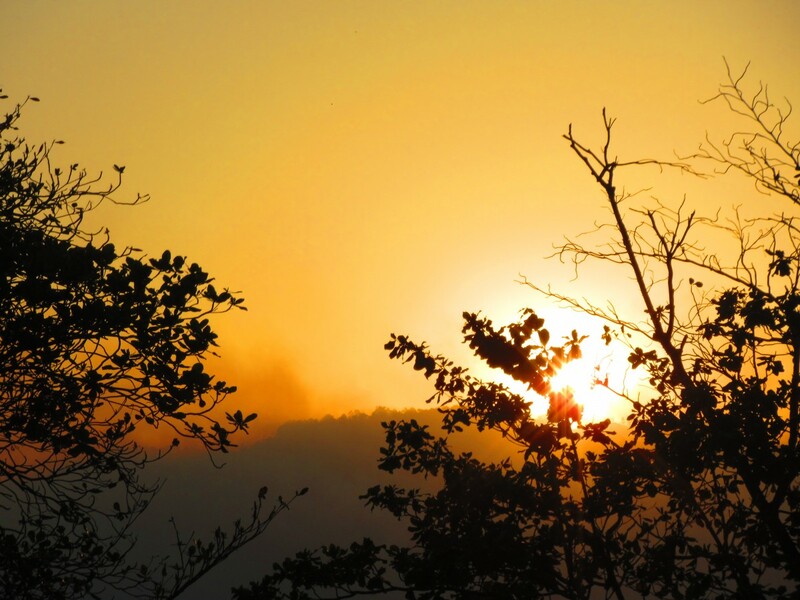 For me – 24 hours was enough. 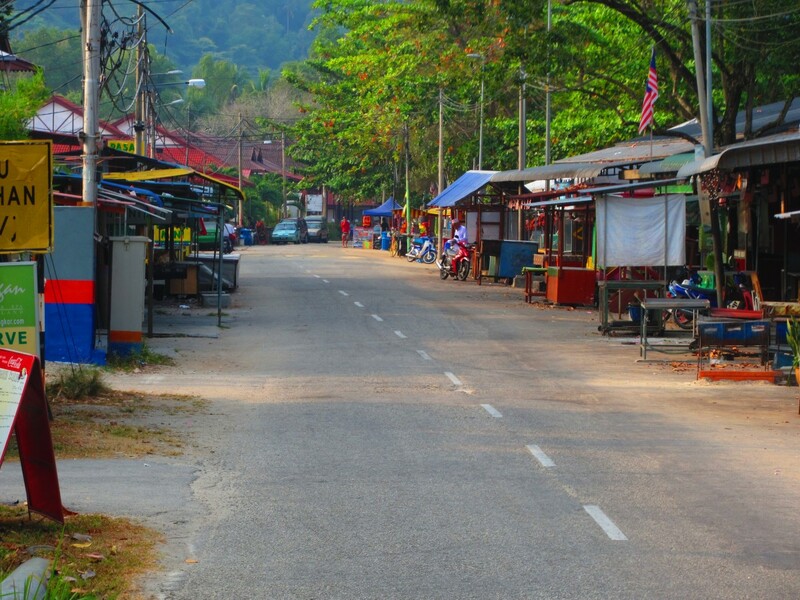 Going to Pangkor Island or to Langkawi by car seems about the same amount of effort from Penang, so if you want to stay somewhere longer, Langkawi has much more to do, a bigger variety of accommodation and food, and is duty free. 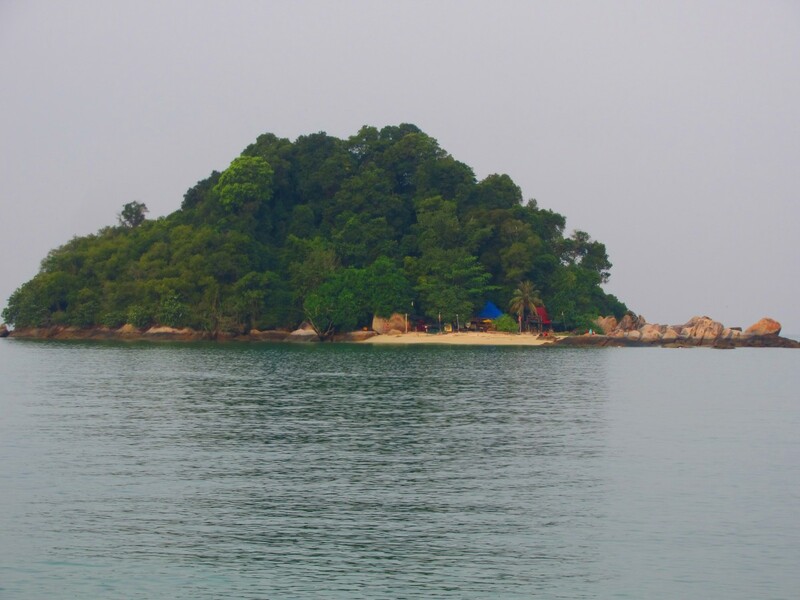 Nevertheless, I wanted to go to Pangkor to see it. 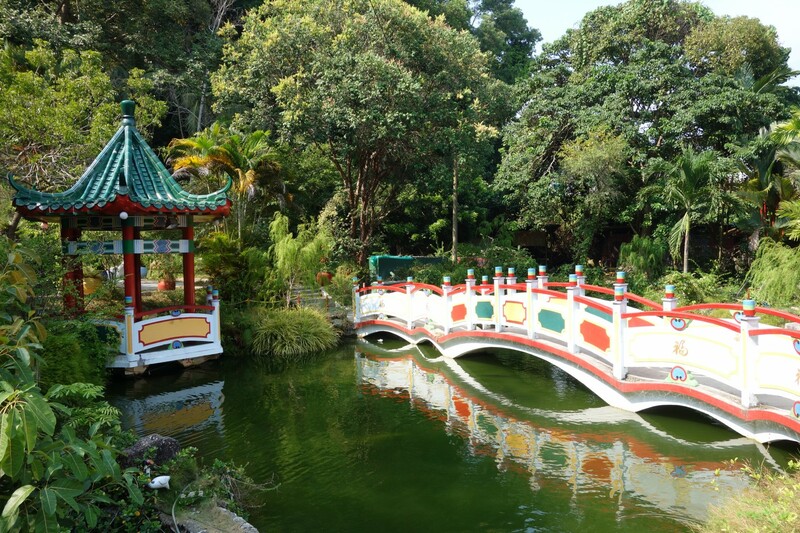 We went mid-February 2014, which is not a tourist season, not school holidays, and not during a weekend, public holiday or festival, so it wasn’t crowded. We have seen photos of it crowded, and I wouldn’t like it. 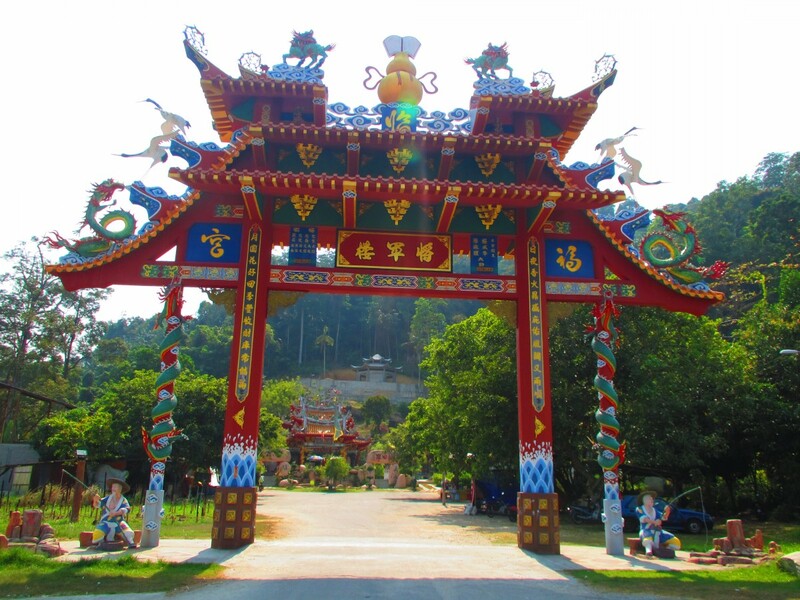 Around a two hour 40 minute drive from Penang to Lumut, depending on your route. Around RM11 in road tolls on the E1 motorway going south. 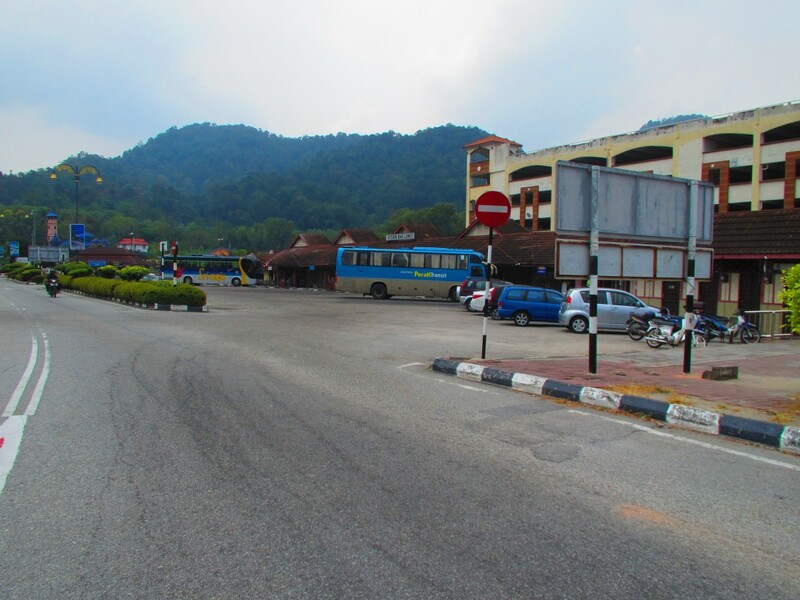 Parking in Lumut cost RM10 per day near the ferry terminal. That’s not for 24 hours, but for each day, so Tuesday and Wednesday would be RM20. They refused to give a receipt for the payment, which they want when you park – but it wasn’t a problem. 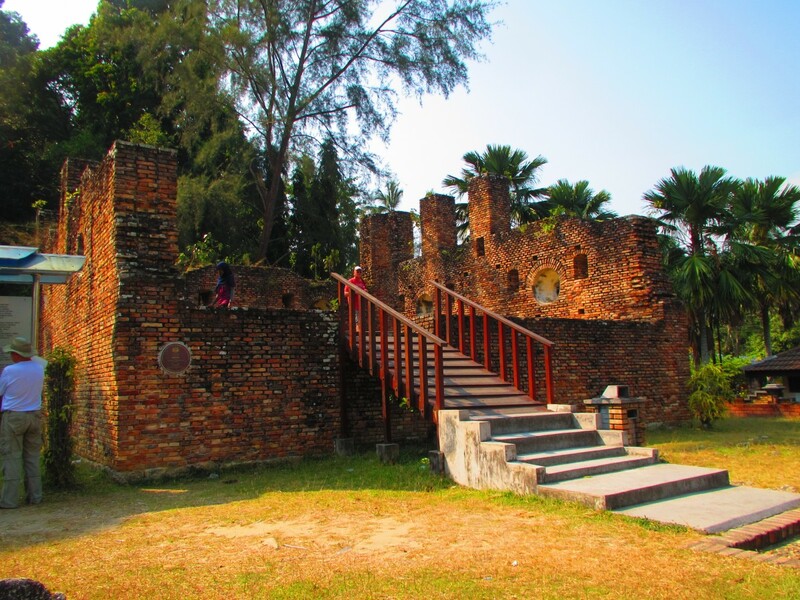 Lumut is quite nice, and has a lot of eating places. 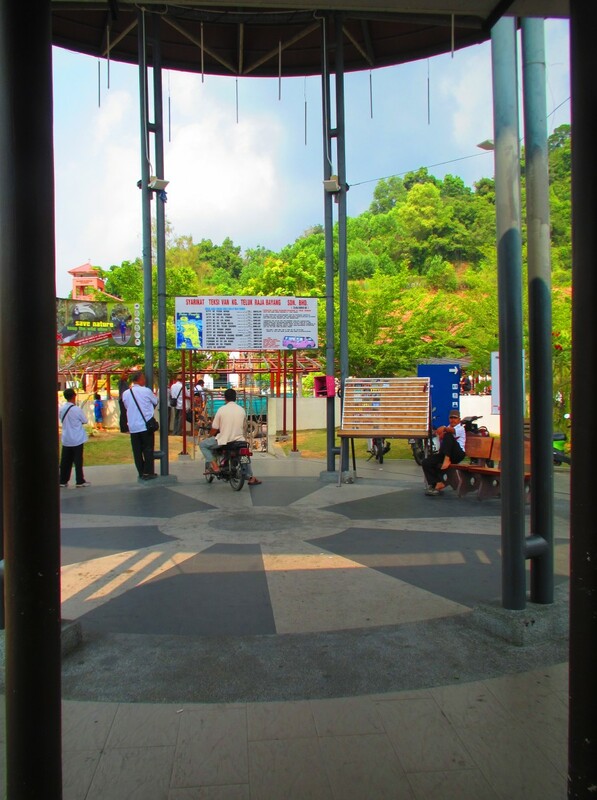 There is a friendly tourist office near the jetty, and they can give you maps etc. Next to and attached to the tourist office is a nice toilet. 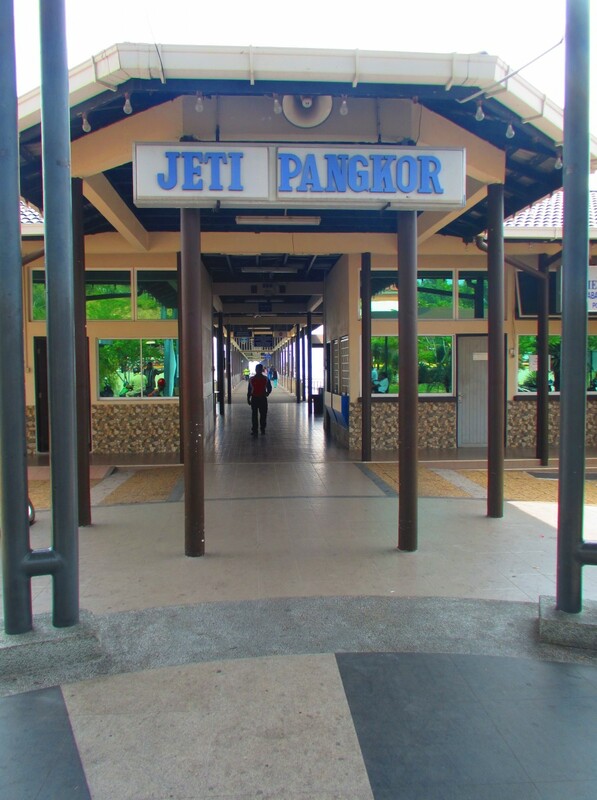 It costs 50 sen to enter, and there are also showers included in the price. It is clean and airy, and even has an aviary. It is not at all like typical public toilets in Malaysia. 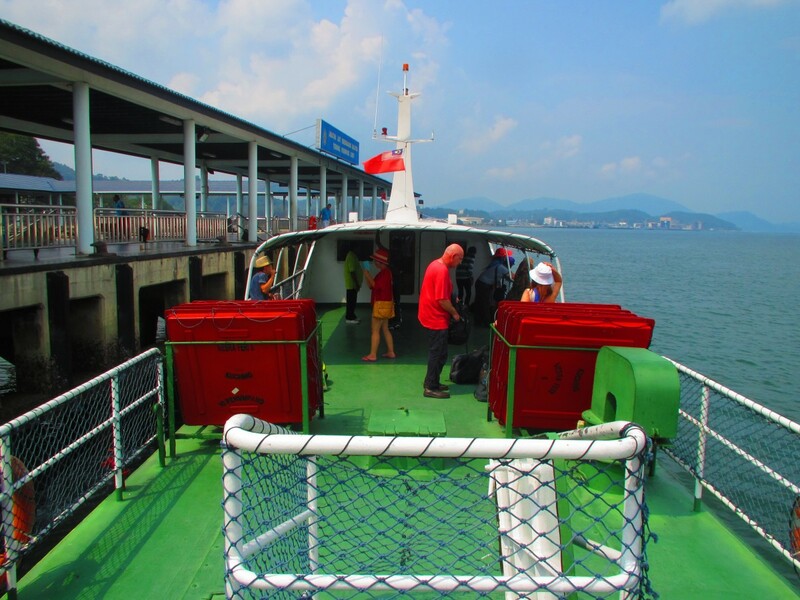 There is a ferry every half hour or 45 minutes, depending on the time of day. The ferry takes about half an hour. 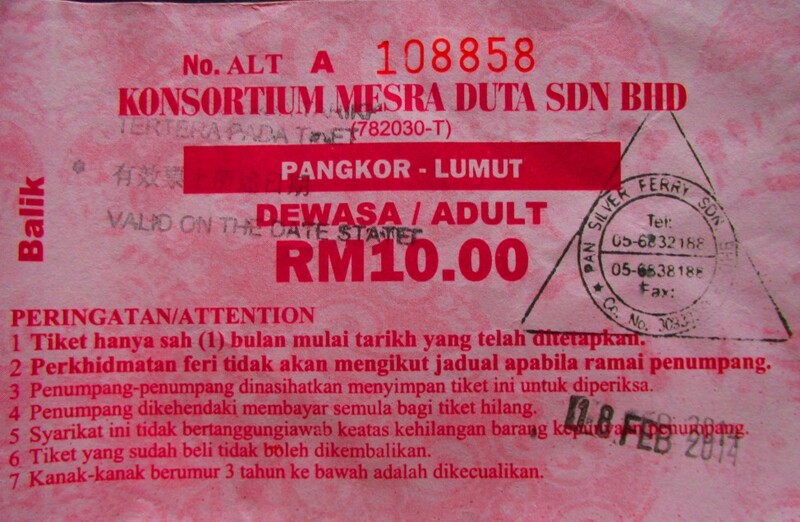 A ferry ticket costs RM10 return. 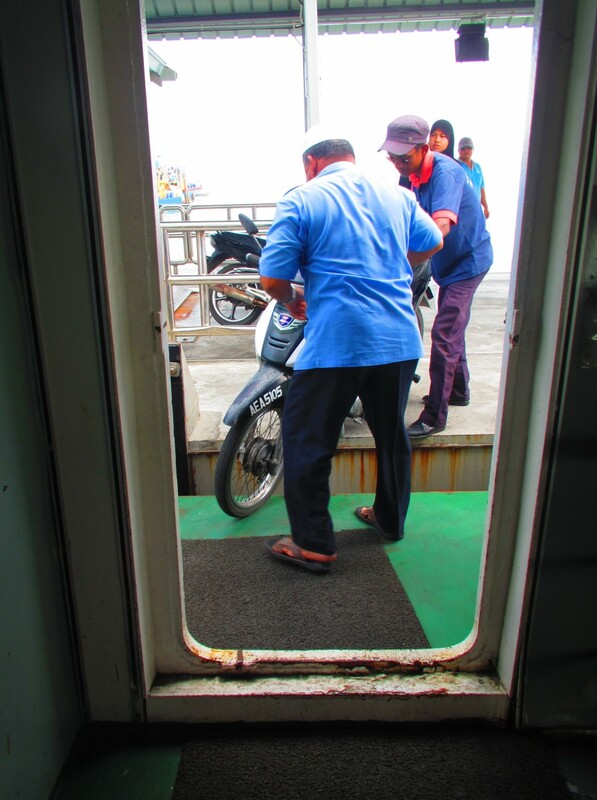 Some people take motorbikes onto the ferry, but generally it’s a passenger ferry. 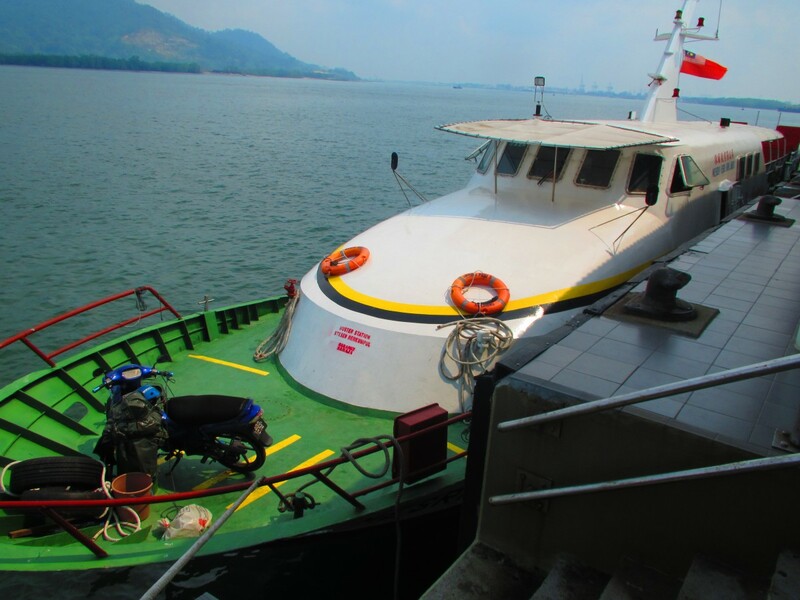 The first stop on the ferry on Pangkor is Sungai Penang. For the busiest part of town and cheap accommodation you can alight here. Otherwise you should alight at the second stop, the main terminal. 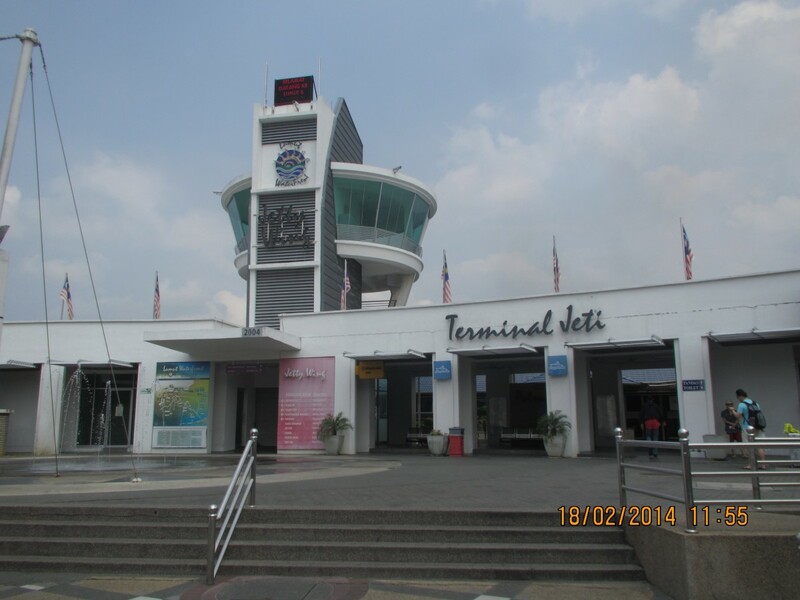 You can rent cars, motorbikes or bicycles from touts at the main Pangkor Island terminal. There is little traffic, so a motorbike wouldn’t be particularly dangerous, unless you are. A bicycle would be hot. Of course, there are taxis, too. 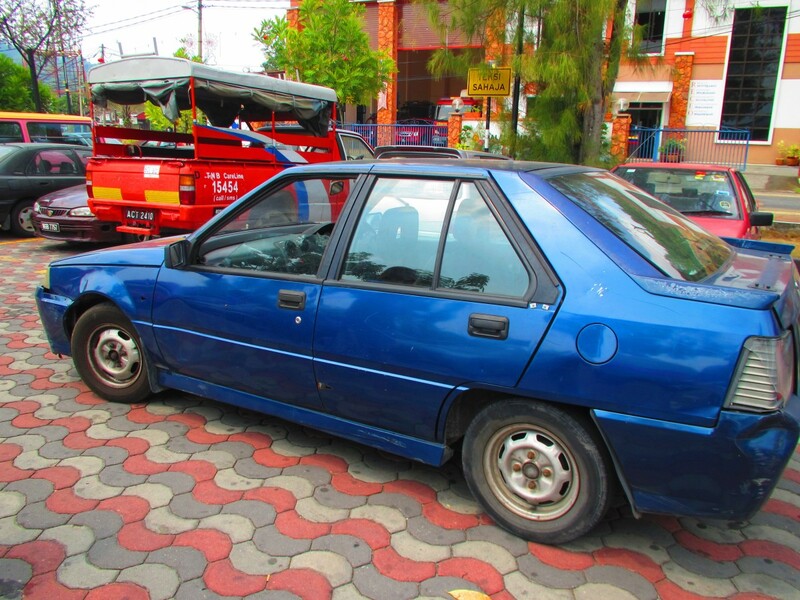 We paid RM70 for a manual Proton – possibly the worst maintained car in the world. 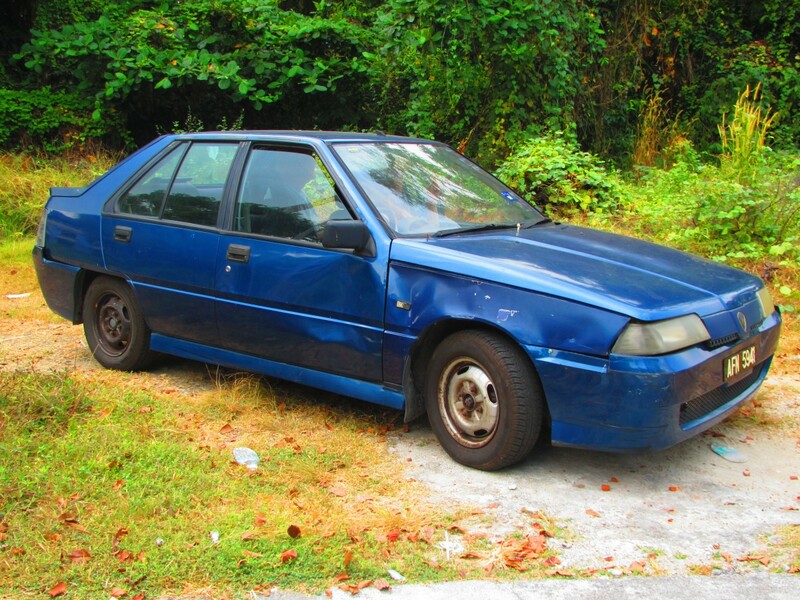 There was no paperwork for the car – he asks for a contact number and gives you a piece of paper with his number on it and asks you to ring him when you return the car. He doesn’t ask your name, or for a licence etc. The tank is empty and so he says to put RM20 in the tank immediately from a petrol station which is very close. Trip Advisor posts condemn pretty much all the hotels, so do your own research. But there are also hostels, possibly in China town. There is not much to see. 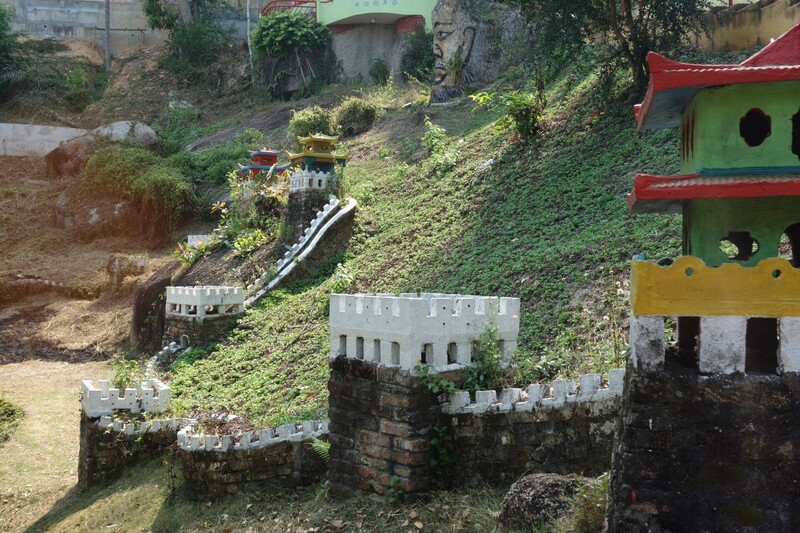 The mini-Great Wall of China was fun. We also saw the Dutch Fort. 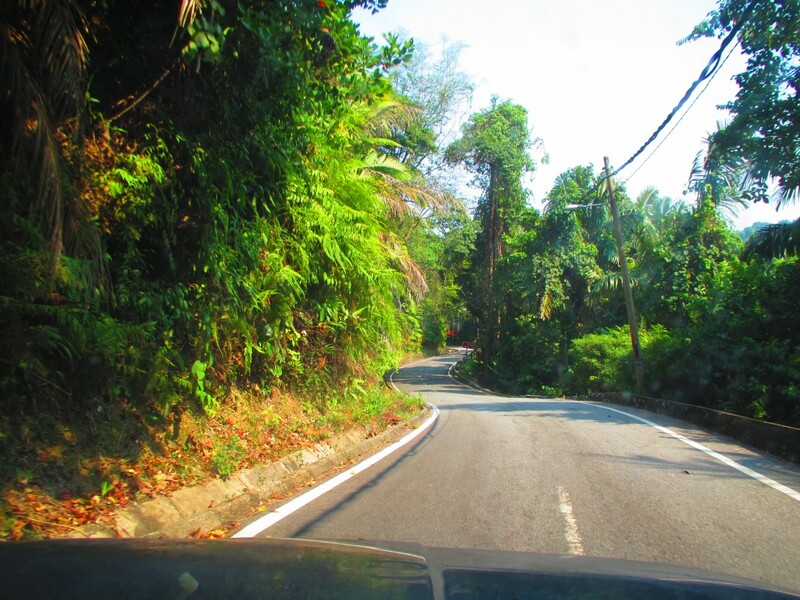 It takes around 40 minutes to drive around the island. The best beaches are on the other side of the island to the port – that is, the north-west. The beaches on the east of the island are not nice. 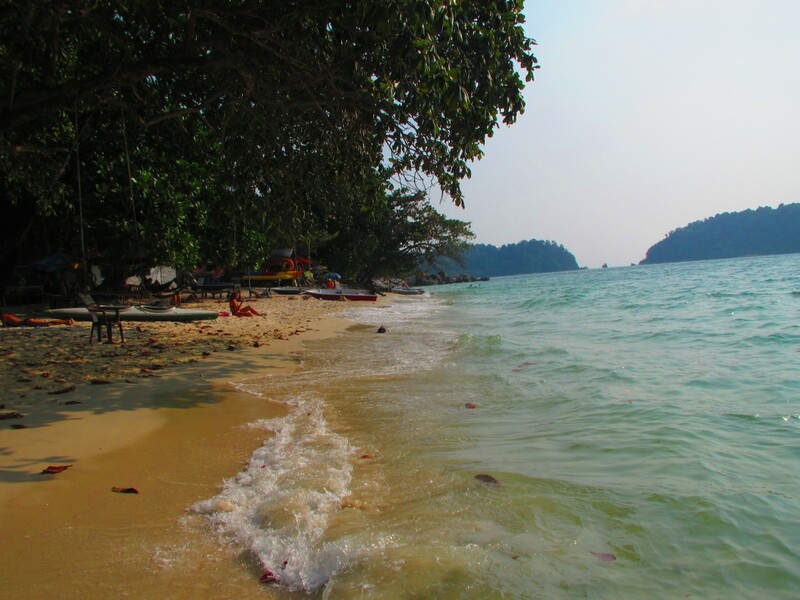 The north of the island has the Pangkor Island Beach Resort, with its private beach. Even if you are staying there you can’t drive in, but you can park just outside. You can walk in. 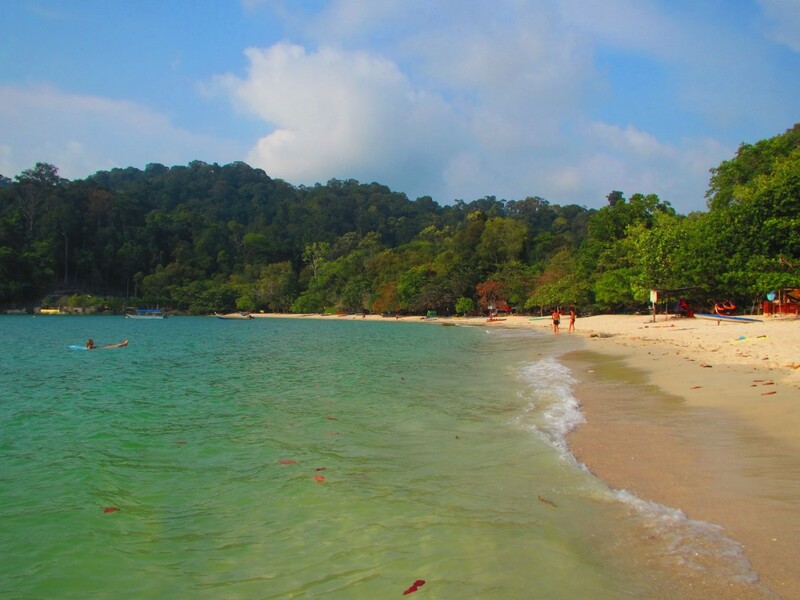 There is a RM50 charge for non-guests to use the beach, but I hear they usually don’t charge it. However the staff will come around and ask for your drink orders. 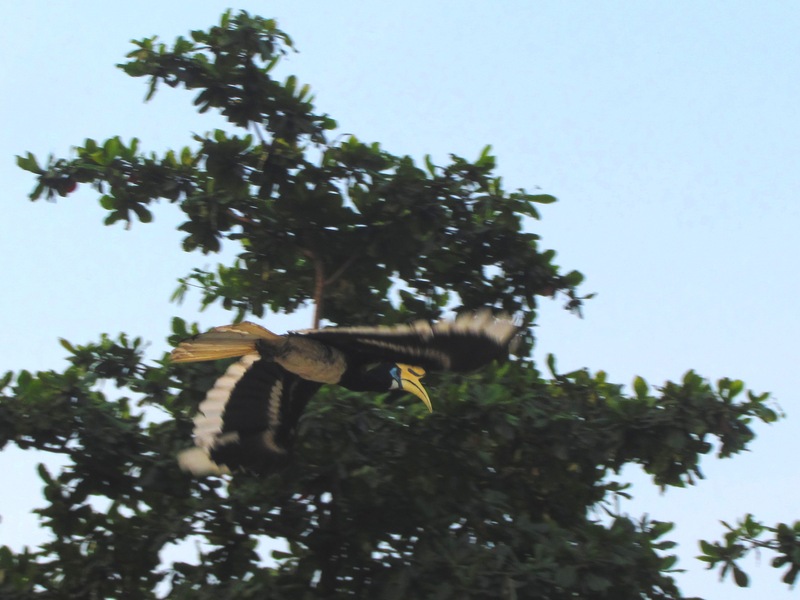 I saw some wild hornbills in the evening and in the morning – I love hornbills. 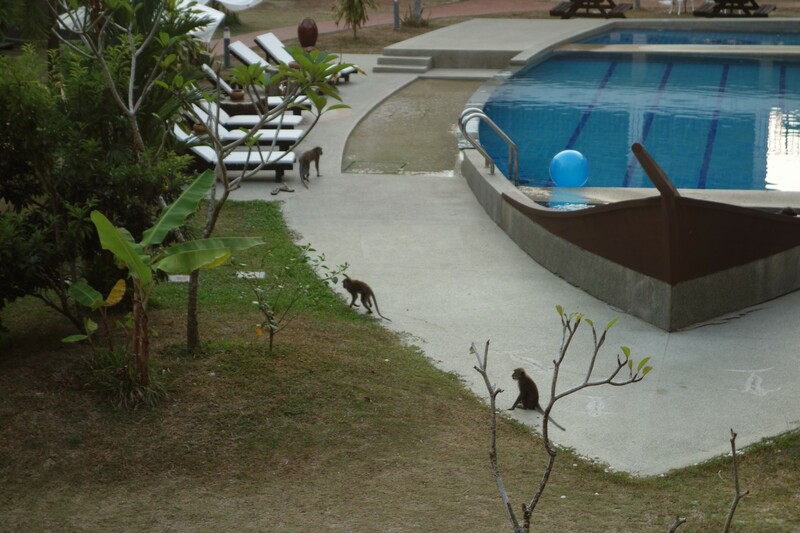 Monkeys rampaged around stealing things, so one had to keep the balcony doors closed and locked at the hotel. My favourite story from the boss at the hotel is that he noticed his mobile had been stolen. 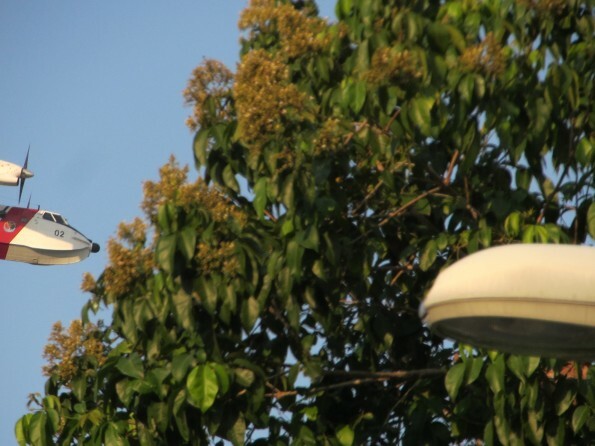 He rang his number to see if he could locate it,and heard the phone ringingup in a tree. This so startled the monkey that had stolen the phone that he dropped it, and it fell onto the grass undamaged. Monkeys will also steal your things from the beach, so don’t leave anything you care about unattended. 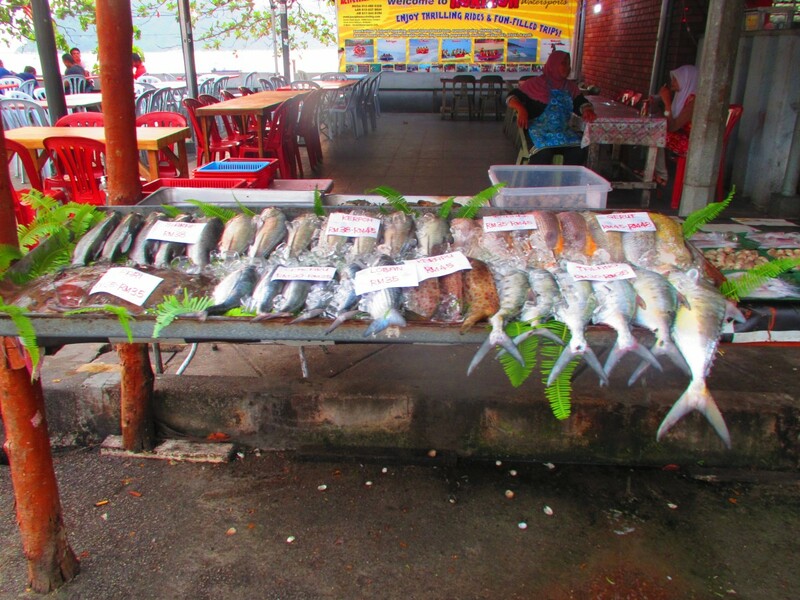 Food prices in the little restaurants are very reasonable and cheaper than Langkawi. A similar price to Penang. Some places and some mini-markets sell beer, and some don’t. It’s around RM6 per can of Tiger. 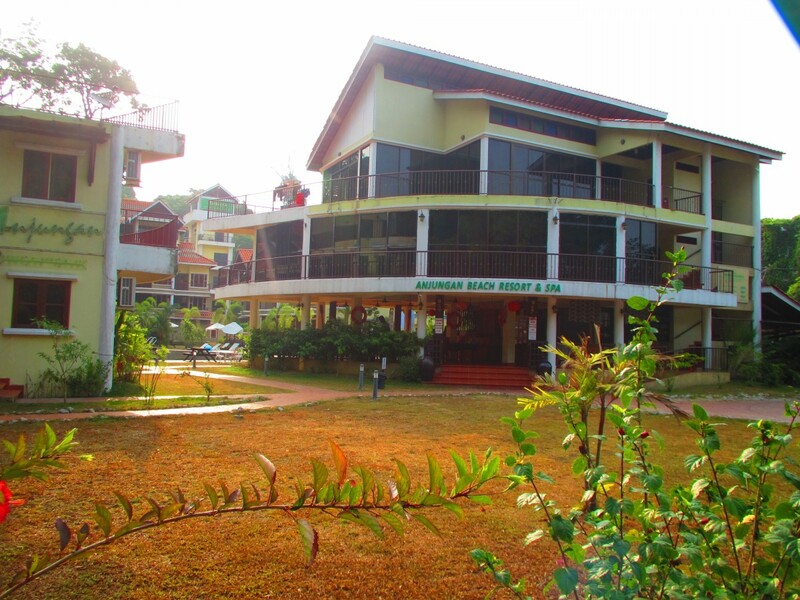 We stayed at the Anjungan Beach Resort and Spa, which according to Mrs. 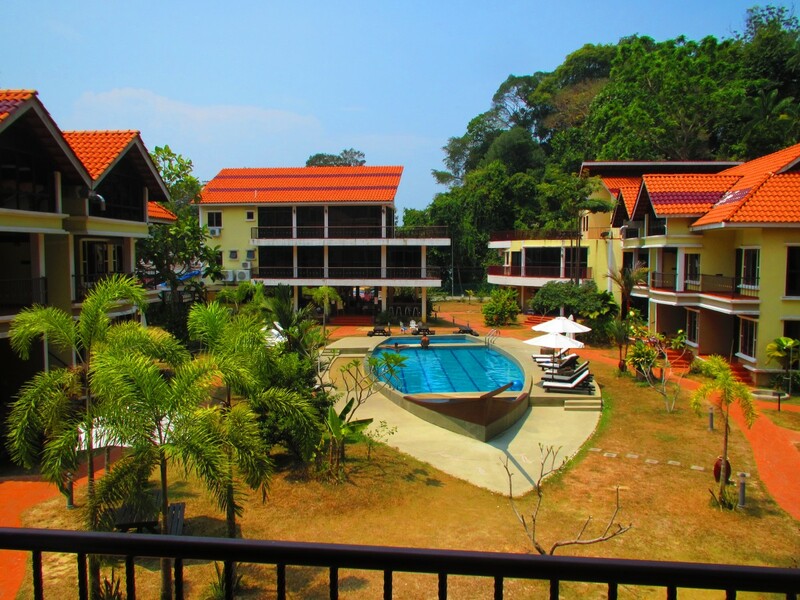 Tropical Expat is the best mid-range hotel in Pangkor, where most Trip Advisor reviews for almost all hotels are dreadful. 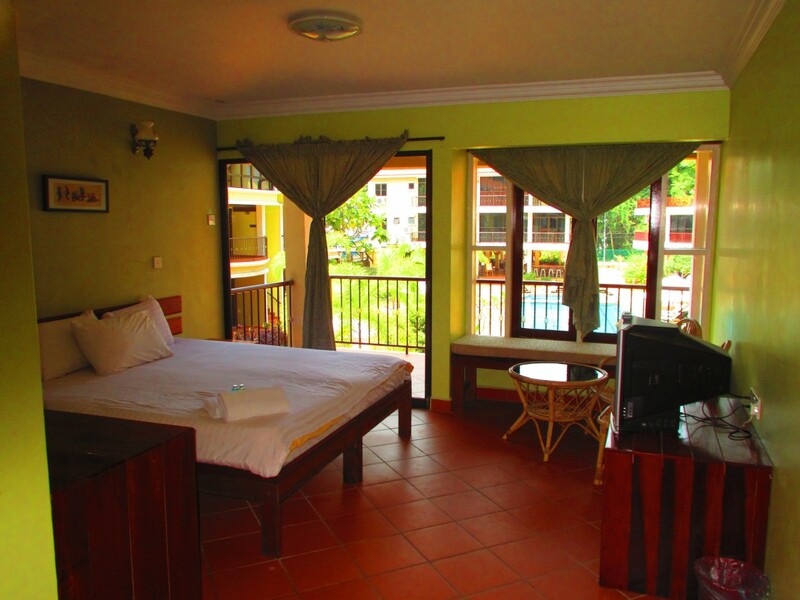 We stayed in the larger delux room for RM180 per night, and booked it on the Internet. 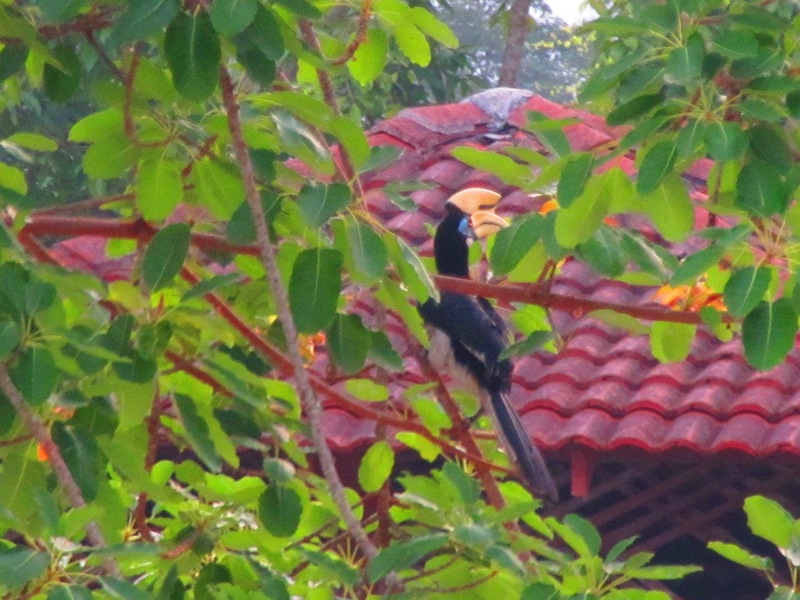 It is across the road from a beach – Nipah Bay, and a nicer beach – Coral Bay – is a few minutes walk down the road. 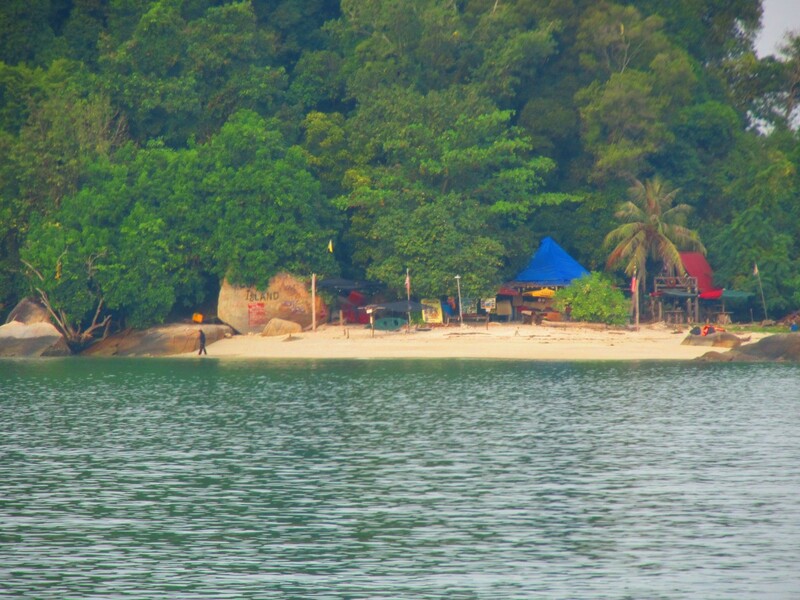 From Nipah Bay you can get a RM20 snorkelling trip – they take you on a boat across to Giam island – a five minute ride. You can stay as long as you like, and when you wish to return you call the guy to pick you up – or ask another boat that is returning to ask him to pick you up. There is no car parking in the hotel – you can park on the scrub next to the side road, though. They have bike parking. The hotel is quite new and clean. But there are a few flies and mosquitoes in the room. They leave a can of insect spray, so spray the room and go out for a while. There is only one towel each, and poor amenities, so take your own soap, shampoo, etc. if you wish. 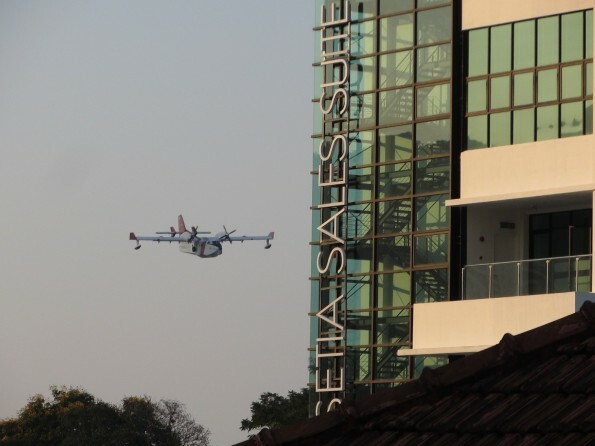 I mentioned the monkey problem above – keep the balcony doors closed and locked at the hotel. Everything worked, including importantly the air-con. 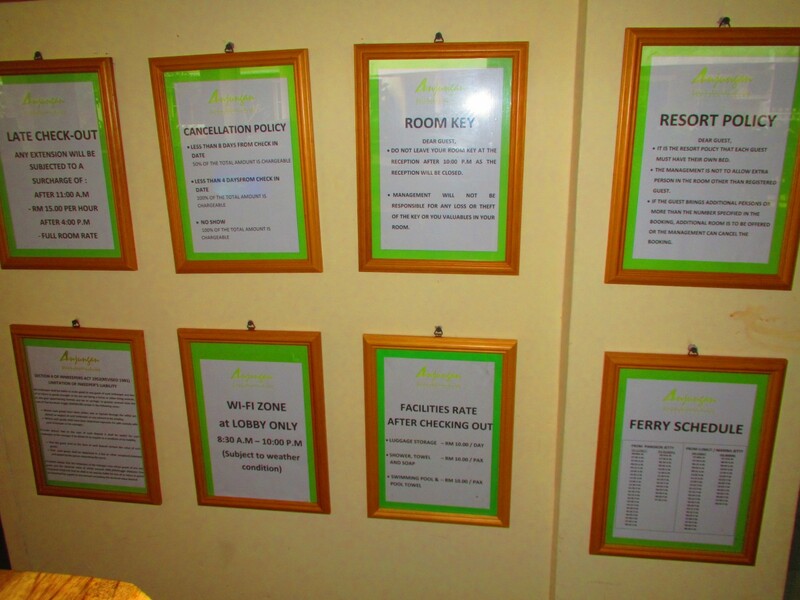 At reception there are notices of charges for various things. There is no safety box in room. The hotel has a pleasant pool, which was popular with guests. The water was quite warm in the afternoon. The hotel was on a tourist stretch, with most shops shut during the day. A couple of mini markets and one restaurant was open. And it was very hot. Hotel food was expensive, and the coffee awful. Swimming at the beach at Coral Bay was the best thing. The water in the morning is refreshing, but by the afternoon like a warm bath. The hotel had Internet in the lobby at a speed so glacial that even a global warmist would renounce his religion. My Yes 4G modem wouldn’t deliver Internet either. But my Maxis phone would provide Internet through tethering. The Maxis speed was good. Reception staff seemed to have little idea of what they were doing. If you intend to spend a lot of time in the room during the day don’t accept a room on the south side of the hotel as it will get sun all day and be hot, despite the air-con – at least according to some tourists who were complaining. 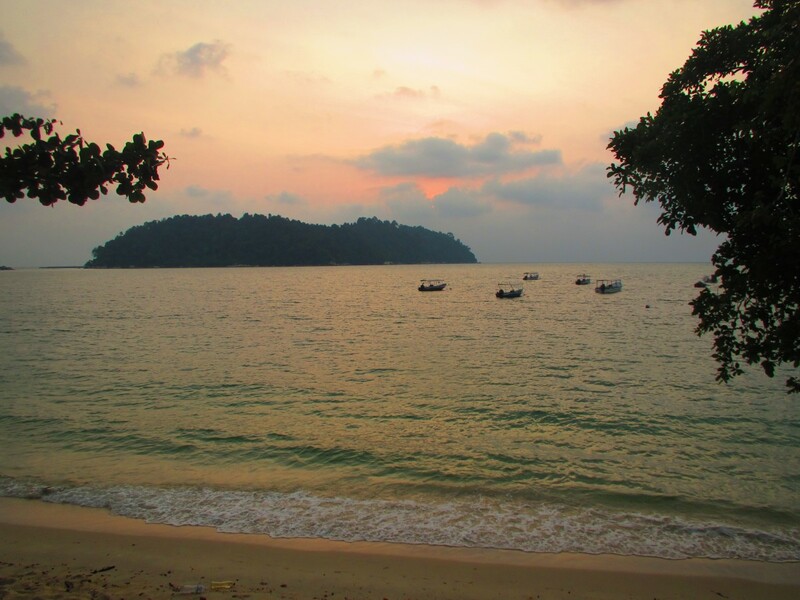 Neulich war ich in Pangkor Insel und ich kam vorgestern zurück. Vorhin kam meinen Freund von Ausland und dann fuhren wir zusammen. Ich wollte seit zwei oder drei Jahren dort fahren und endlich machte ich vorige Woche die Anstrenung die Reise zu forschen. Es gibt zwei oder drei nette Strände und man kann im Meer schwimmen, weil es keine Quallen gibt. Die Insel ist sehr klein und mit einem Auto kann man in 40 Minuten um die Insel fahren. Jedoch findet man zu viele Beruhigungsschwellen. So viele Beruhigungsschwellen. Nicht so viele Insekten. Eben eine Nacht ist genug, weil es gibt wenige Sehenswürdigkeiten. JC und ich sprachen auch über die gestrige Zeitung und die heutige Zeitung. Ich las heutige Zeitung aber ich las gestrige Zeitung nicht. Und gewöhnlich lese ich die morgige Zeitung bei MGS. Die aktuelle Themen in heutige Zeitung sind nicht interessant. Ich vergesse die Schlagzeile. JC bedenkt über ein Segelboot zu kaufen. Wenn man in Straits Quays ein Boot verankern würde, kostet es RM4,000 pro Monat. Natürlich könnte man dann auf dem Boot wohnen. Er muss mehr forschen. Und dann sprachen wir über Grammatik – über die Zeitformen. In die Gegenwart benutzt man das Präsens. and listening to his podcast he says there are only ten Malaysian podcasters. Unfortunately I couldn’t find them. His podcast only started a couple of months ago. http://www.redicecreations.com/radio/nonsubscriber.php Red Ice Radio is broadcast out of Sweden and Hendrick covers a really diverse range of topics, mostly interviewing experts in their fields. In English. http://www.corbettreport.com/?i=Interviews The Corbett Report is from Japan, although Mr. Corbett is Canadian, and again covers a broad range of topics, mostly by interviews, but also some discussion panels etc. In English, although James briefly spoke Japanese (quite well I thought) once, that I heard. http://www.thevinnyeastwoodshow.com/2014-archives.html Vinny broadcasts out of New Zealand and mostly interviews people on a range of topics. http://www.thecrowhouse.com/radio.html Max broadcasts from Australia mainly on regaining our freedom, peacefully and spiritually. http://fairdinkumradio.com/ is also broadcast out of Australia, and covers who has taken and freedom, and how to get it back. http://vitalitycapsules.com/truth-files Dr. Daniels broadcasts from Panama, having escaped the clutches of the American Medical Association in the U.S., it seems. She tells the truth about pharmaceuticals, vaccines etc. In English. http://www.pamkilleen.com/multimedia-content-february-2013-present-1/ Pam broadcasts from Canada on health issues. http://www.wvfoundations.org/id3.html Broadcast from the U.S. Caucasian oriented. Topics of interest to me are history of rock groups or singers, history as not told in films, school history books etc. http://republicbroadcasting.org/ Subscription based, out of the U.S.
http://thecommonsenseshow.com/category/radio-archives/ Out of the U.S., from Republic Broadcasting – but he only posts a few of his podcasts on his site. Often about what is happening in the U.S. – implementation of Agenda 21 etc. http://www.democracynow.org/shows Out of the U.S. Really too politically correct for me, but often the second part of the show covers one particular topic – I enjoyed the interview with Oliver Stone, for example. A shorter version is also published in Spanish. http://blog.ucadia.com/ Frank broadcasts from Australia on his political / social model. http://thesyncbook.com/ From the U.S., I think. I just found this, and can’t yet classify it in my mind. http://www.blogtalkradio.com/universalawareness – Out of the UK – nothing broadcast recently, but archives are often on using the real law – not statute law – to keep your freedom. 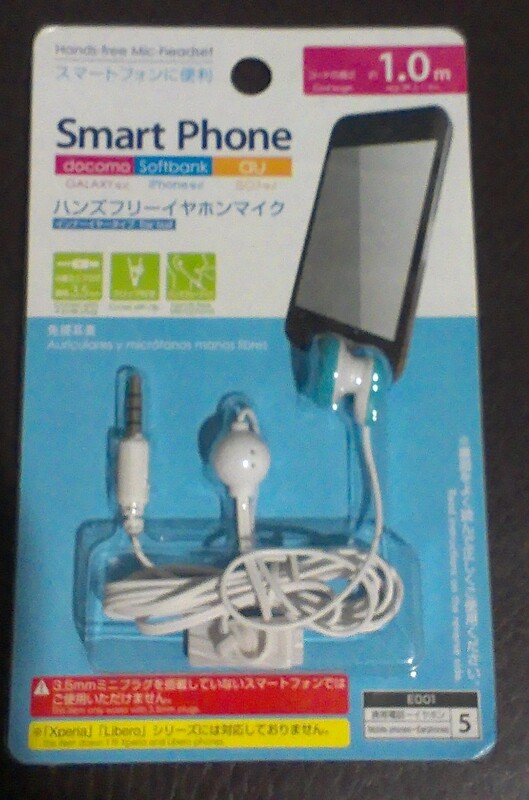 Finally, for RM5 you can buy an earphone / microphone in Daiso – Gurney Plaza, Gurney Paragon, Queensbay Mall. It’s not stereo, but for podcasts you don’t need stereo – giving you one ear with which to hear what’s going on in your surroundings, which is safer if you are out. And you can use it for phone calls with the microphone, although to dial or answer a call you’ll have to use your phone itself. But don’t buy them all – I regularly break earsets – any brand, not just these ones – as I get them caught on things, and they can take only so many hard tugs. So they only last me six months, and I have to buy another. A replacement, with the mike on the lead, from the phone manufacturer when I asked was close to RM100. Wie kann man über Häufigkeit sprechen? Um über Häufigkeit zu sprechen, machte ich viele Aussage über das Kaffeetrinken. Ich trinke Kaffee häufig aber nicht dauerend. Meistens trinke ich entweder im Haus oder in Starbucks. Ich besichtige jeweils zwiemals oder dreimals pro Woche Gurney Mall Starbucks und fast jedesmal trinke ich Kaffee Americano. Selten trinke ich etwas mit Zucker. Diesmal auch trinke ich Kaffee Americano. Ab und zu besichtige ich andere Starbucks und gleichfalls trinke ich da Kaffee Americano. Niemals trinke ich Kaffee Latte. Ich vertraue pasteurisierte Milch nicht und nie trinke es. Gewöhnlich vermeide ich irgendwas mit Milch. Hinterher sprachen wir vorläufig über JCs Gedächtnisse von der Vergangenheit in Afrika. Er versäumte nicht die berühmte Tiere. Besonders behielt er die Löwen. Damals reiste man mit einem Schiff aber seit dann wurden Schiffe mit Flugzeuge ersetzt. Die Sprache war endgültig aus.